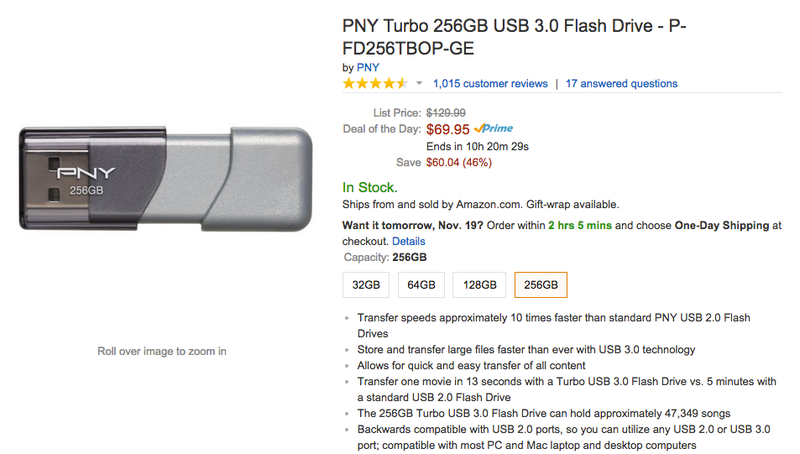 If you need additional storage around, or you need another power source around you at all times, Amazon is currently hosting a deal on PNY memory and power products. The deals go up to 50% off on select products, including 256GB USB 3.0 flash drives, 64GB high-speed microSD cards, 64GB USB flash drives, massive PNY battery packs, and so much more. Even if you don’t need something like this, these types of products make perfect stocking stuffers.